Introducing a collection of overlays by MixPixBox. 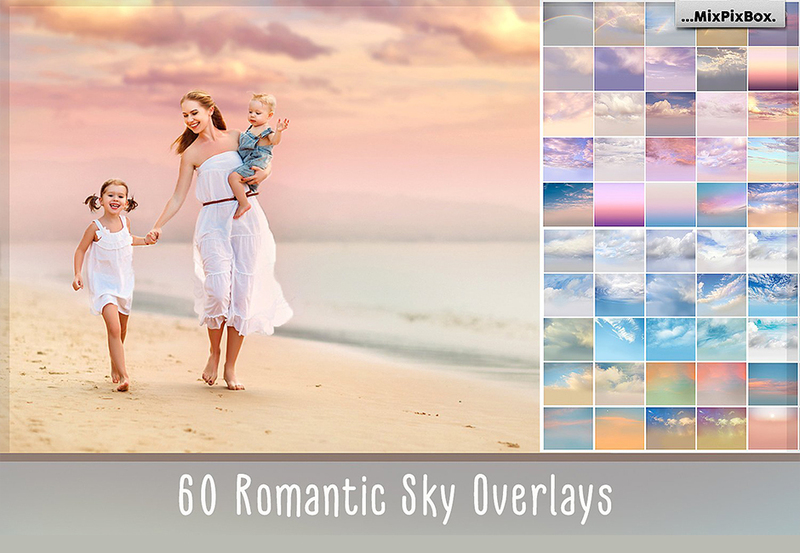 If you’ve ever wanted to have more control over the results of your outdoor shoots, then this pack of romantic sky overlays will give you just that. Easy to use, you can blend these hazy sunsets and wandering clouds into your own work to produce some fantastic effects. The sky’s no longer the limit. • 60 Sky Overlays (300 PPI – 5700 x 4900 px), in .JPG format. 60 Overlays in .JPG format. File size is approx 44.3MB (53MB unzipped), offered as a single download. This was already included in “The All-Purpose Textures and Patterns Collection”; why is this not mentioned? Thank you so much for bringing this to our attention and we’re so sorry for any inconvenience caused! We will have this updated right away.